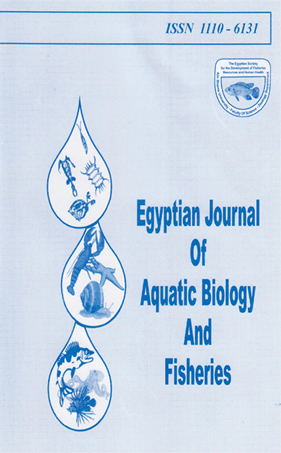 Y\/ater quality characteristics of Lake Mariut (Egypt) were investigated during the period from April 1996 to March 1997. A comparison of nutrient salts and oxygen concentrations during late 1950's with those of the present study, indicated a pattern of increasing eutroptucation and organic pollution and dominance of the sewage, industrial and agricultural wastewaters on the ecology of the lake. In the polluted main basin, the water showed much higher concentration* of some heavy metals such as iron, copper and zinc. Accumulation levels of heavy metals in fish muscles are within the legal limits of WHO standards.In response to the heavy pollution, the primary production and fertility of the main basin of the lake were reduced to about I/3 of that recorded in 1961. The average annual fish production declined from 1850 kg ha in 1970's to only 461 kg ha in 1996, and more declining is expected in the near future, unless a management programme is applied to conserve this vital ecosystem.